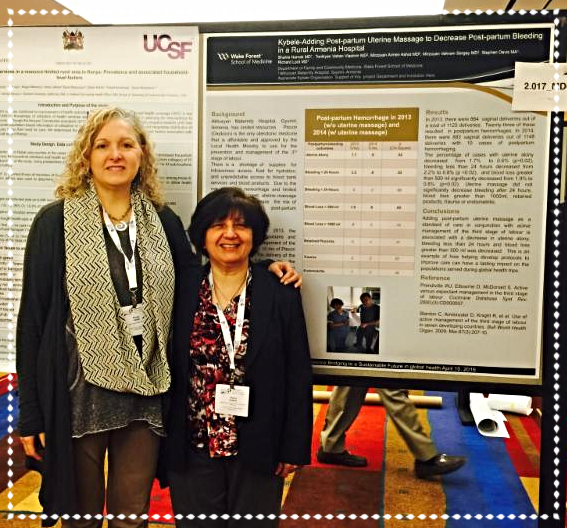 Kybele Team Members, Dr. Medge Owen and Dr. Shahla Namak, along with Forsyth Country Day High School student,Chris Hawley were in San Francisco April 9-11 at the 2016 Annual Consortium of Universities for Global Health Conference (CUGH). Kybele – Adding Post-partum Uterine Massage to Decrease Post-partum Bleeding in a Rural Armenia Hospital. 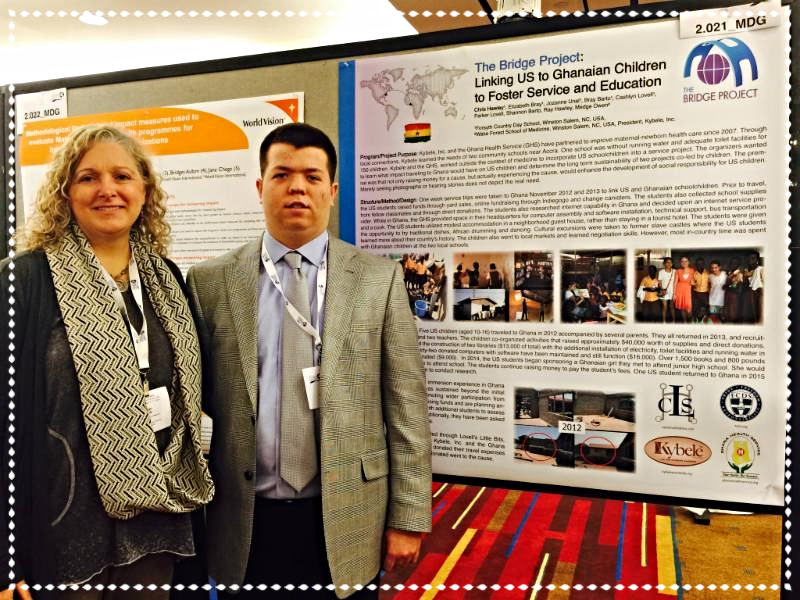 Bridge Project Volunteer, Chris Hawley gave a poster presentation on an abstract entitled The Bridge Project: Linking US to Ghanaian Children to Foster Service and Education. CUGH had 1100 abstracts submitted and 700 accepted. Of these 700, only 36 were selected for oral presentations and Dr. Medge Owen gave TWO of these oral presentations on Kybele’s work in Ghana! These two abstracts were also published in the UK medical journal, The Lancet. Great job to all the Kybele Team Members who worked on these important projects!